Reduce the impact of birthmarks in a safe and effective manner. The laser only removes birthmarks that are brown in colour (not red/purple ones). Birthmarks are physical marks that can occur from birth or develop over time. Depending on the position and size of the mark it can cause an individual to feel self-conscious and desperate to have it removed. Fortunately, modern technology can remove or reduce the impact of birthmarks in a safe and effective manner. Birthmarks occur due to an unusual clustering of blood vessels that darkens the skin’s appearance or due to an excessive amount of the pigment that gives the skin colour. The laser only removes birthmarks that are brown in colour, not red/purple ones (haemangiomas or port-wine stains). The most common form of pigmentation disorders include Melasma (including preganacy-induced melasma), post inflammatory hyperpigmentation (PIH), and excessive sun exposure. Hyperpigmentation is the excess production of melanin – the coloured part of the skin – and it appears as a localised dark patch on the skin. The patches are typically non-raised as the hyperpigmentation occurs beneath the top layer of skin. Laser treatment is a modern advantage that is specifically designed to break down the skin’s coloured pigment in a sophisticated manner. It involves using a customised laser wavelength that is right for the specific colouration of the birthmark/pigment. 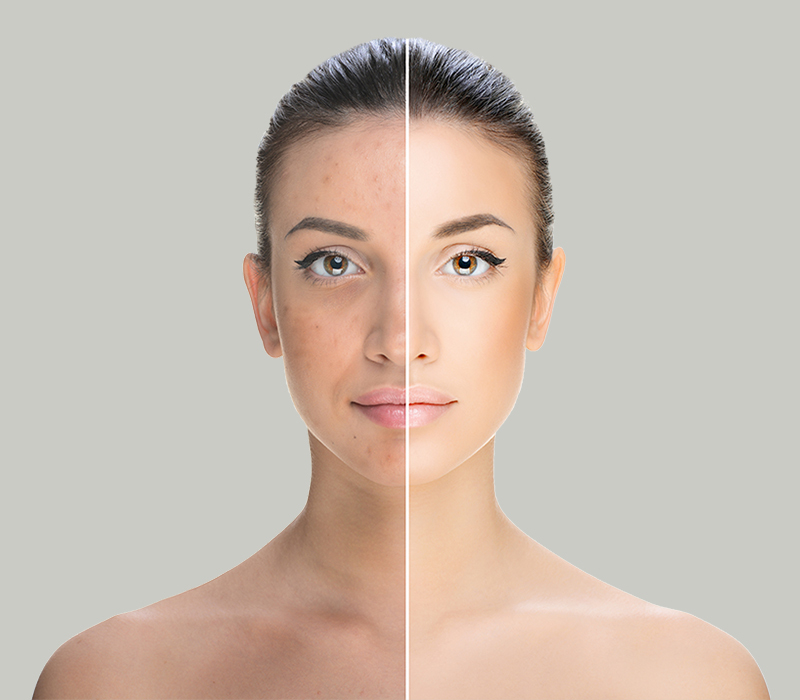 The laser pulse breaks down the coloured pigment into dust-like particles which your body will re-absorb, reducing or eradicating the pigmentation. Over a customised course of treatment, the laser breaks down the colouration so that the mark fades without causing scarring. While perfectly safe, the laser treatment can feel a little uncomfortable. With larger areas of pigment a topical aesthetic (cream) is used to reduce discomfort. Following the procedure there is a chance of bruising and a crust will form on the treated area which after a few days will fall. It is highly recommended to avoid sunlight following the procedure and it is best to avoid doing the treatment during the summer months. High SPF is recommended to cover the area while it is healing.